This is the 54th post in a weekly feature here at Spare Candy, called "In History." Some posts might be little more than a photo, others full on features. If you have any suggestions for a person or event that should be featured, or would like to submit a guest post or cross post, e-mail me at rosiered23 (at) sparecandy (dot) com. Ellen Henrietta Swallow Richards was born on this day, Dec. 3, in 1842. She was the foremost female industrial and environmental chemist in the United States in the 19th century, pioneering the field of home economics. Richards graduated from Westford Academy and attended Vassar, from which she earned bachelor's and master's degrees. She was the first woman admitted to the Massachusetts Institute of Technology (MIT) and she became its first female instructor, the first woman in the United States accepted to any school of science and technology, and the first woman in the United States to earn a degree in chemistry. When she entered MIT, the college said she could attend but "it being understood that her admission did not establish a precedent for the general admission of females." In 1883, MIT began accepting women and awarding them degrees as regular students. Richards would have been the first woman awarded a doctoral degree from MIT, but MIT balked at granting this distinction to a woman, and did not award its first doctorate until 1886. From 1884 until her death, Ellen Richards was an instructor in the newly founded laboratory of sanitary chemistry, the Lawrence Experiment Station, which was the first in the United States and headed by her former professor William R. Nichols. In 1887, the laboratory, then under Thomas Messinger Drown, conducted a study under Richards of water quality in Massachusetts for the Massachusetts State Board of Health involving over 20,000 samples, the first such study in America. As a result, Massachusetts established the first water-quality standards in America, as well as the first modern sewage treatment plant, in Lowell, Massachusetts. Richards was a consulting chemist for the Massachusetts State Board of Health from 1872 to 1875, and the official water analyst from 1887 until 1897. She also served as a consultant to the Manufacturers Mutual Fire Insurance Co, and in 1900 wrote the textbook "Air, Water, and Food from a Sanitary Standpoint," with A. G. Woodman. Her interest in the environment led her in 1892 to introduce into English the word ecology which had been coined in German to describe the "household of nature". 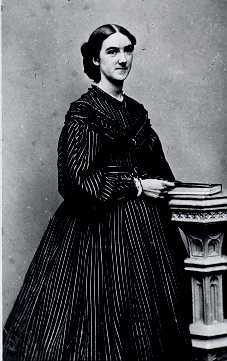 Richards along with Marion Talbot (Boston University, class of 1880), became the initial "founding mothers" of what was to become the American Association of University Women when they invited 15 other women college graduates to a meeting at Talbot's home in Boston, Massachusetts on November 28, 1881. The 17 women envisioned an organization in which women college graduates would band together to open the doors of higher education to other women and to find wider opportunities for their training. AAUW became one of the nation's leading advocates for education and equity for all women and girls. Today, AAUW numbers more than 100,000 members, 1,300 branches, and 500 college and university partners nationwide. Richards served on the Board of Trustees of Vassar College for many years, and was granted an honorary Doctor of Science degree in 1910. She died at Jamaica Plain, Massachusetts, in 1911. In her honor, MIT designated a room in the main buildings for the use of women students, and in 1973, on the occasion of the 100th anniversary of Richard's graduation, established the Ellen Swallow Richards Professorship for distinguished female faculty members. For more information about Richards, you can check out two MIT sites, here and here. There's also an article called "Ellen Swallow Richards and the Progressive women's reform movement" here.